Galen Central will be doing a summer series profiling USC’s incoming basketball class, including transfers who will sit out this upcoming season. First up is Julian “JuJu” Jacobs, who committed to USC in November and will be eligible this fall. He’s been a high school graduate for less than a week, but Julian Jacobs is already looking for an even better title this fall: USC starting point guard. With the graduation of Jio Fontan, chances are favorable that the 6-foot-2 Las Vegas native will split the reigns of new head coach Andy Enfield’s offense with incumbent sophomore Chass Bryan. We all saw Enfield’s Florida Gulf Coast squad champion a “Dunk City” playing style en route to a stunning Sweet 16 berth, but little has been revealed about what Enfield’s system at USC will be. This is mostly because Enfield has been zooming around the country on recruiting trips and other excursions, while the summer session for players doesn’t allow for meetings with coaches due to NCAA regulations. 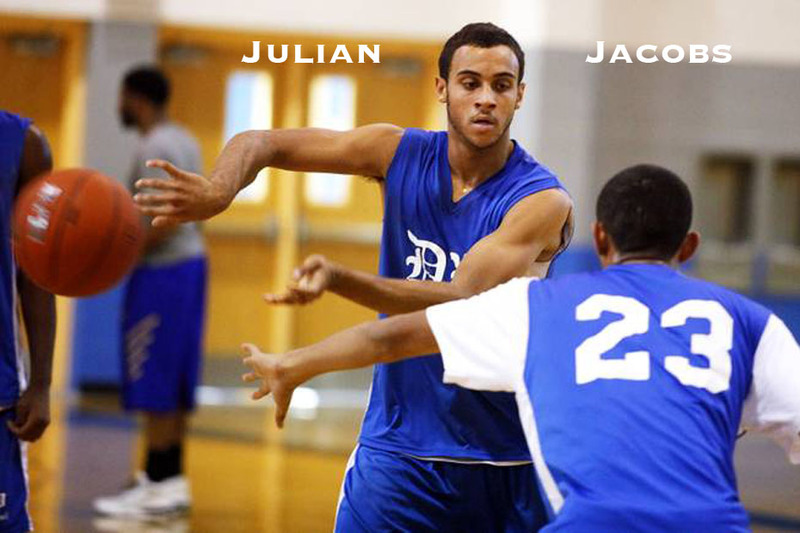 Jacobs said that he was most impressed with how hard Enfield’s players at FGCU played for their coach, and that Enfield called Jacobs within the week he was hired at USC for a small chat. Game plans aside, Jacobs thinks he’d be the perfect facilitator in any offensive system. He also wanted to end any speculation about his position. “I’m definitely a pass-first point guard, and my athleticism is going to allow me to open up other players,” he said. “I’ll score when I have to, but my whole thing is to give the team the ball and to run the show.” Jacobs averaged 5.9 assists per game, to go along with 16.2 points, 6.9 rebounds, and 3.2 steals per game in his senior year at Desert Pines High School. He said that if he had to compare himself to any NBA player, it’d be Philadelphia 76ers point guard Jrue Holiday. Wrong school (Holiday went to UCLA), but Jacobs at least has the athleticism to back up his claim. Jacobs, along with Kahlil Dukes, Nikola Jovanovic, and Roschon Prince, comprise a group of four players who kept their commitment to USC after former head coach Kevin O’Neill’s firing in January. After de-committing from Utah last August, Jacobs never wavered in his decision to stick with USC. A Trojan true and true. He says he and Prince are “really cool”, and that he and Dukes have also formed a friendship before even arriving to campus. Jacobs says he plans to arrive in Los Angeles on June 16, where he’ll take classes during USC’s second summer session, and begin workouts with the rest of the team. Las Vegas is becoming quite the pipeline for college basketball talent (See: Muhammad, Shabazz, whose younger brother, Rashad, played on the same club team as Jacobs), and Jacobs is embracing the cross-town rivalry early. “Since I committed to USC, I don’t like UCLA,” he said. “Simple as that.” He says Rashad Muhammad (a San Jose State commit) and Allerik Freeman (a Vegas native who de-committed from UCLA for Baylor in May) didn’t give him any flak for his choice, but USC’s first basketball commit from Nevada in over a decade sounded excited for his two chances to take down the Bruins. With Fontan, Eric Wise, Dewayne Dedmon, and others gone from last year’s squad, 2013-14’s prognosis is undetermined. The team could head into the Pac-12 Tournament in Vegas with 10 wins or 20. EIther way, the young point guard sounded the most excited when talking about returning home next March for the tourney. “I went this year, and it was soooo [sic] cool!” he said. “Playing in front of my home town is going to be dope, and I can’t wait. Hopefully, we can take the championship next year.” Jacobs wants to set the bar high, and for a USC program looking to jump back into relevance, a humble, but confident floor leader might be just what the doctor ordered.